Various Artists - Escape from Synth City. Vinyl LP. Bleep. What would Herbie Hancock do if he was commissioned to score offbeat role-playing game Earthbound? How would Ryuichi Sakamoto have gone about soundtracking Sega Megadrive classic Altered Beast? 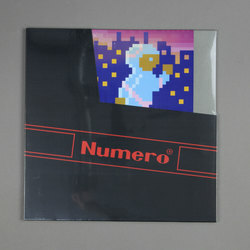 Numero Group’s Escape from Synth City - a unique compilation of works cut from depths where only record enthusiasts dare to tread - not only sounds like how the 1980s imagined the future, but it’s also packaged as such; in a die-cut 12”x12” Nintendo Entertainment System-style sleeve, complete with cartridge inner sleeve.